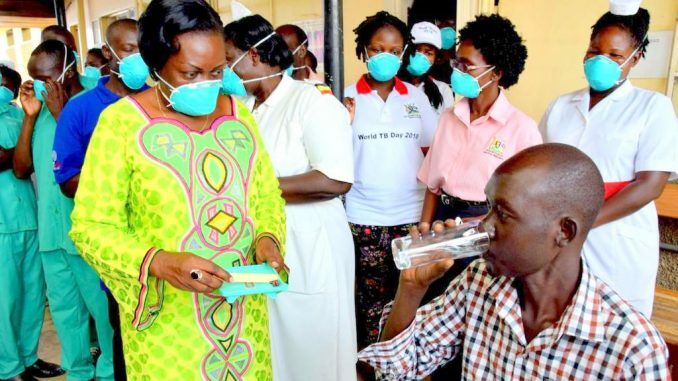 A TB patient receives treatment drugs from the Minister of Health on Sarah Opendi as other health workers look on. Courtesy Photo/WHO Uganda. 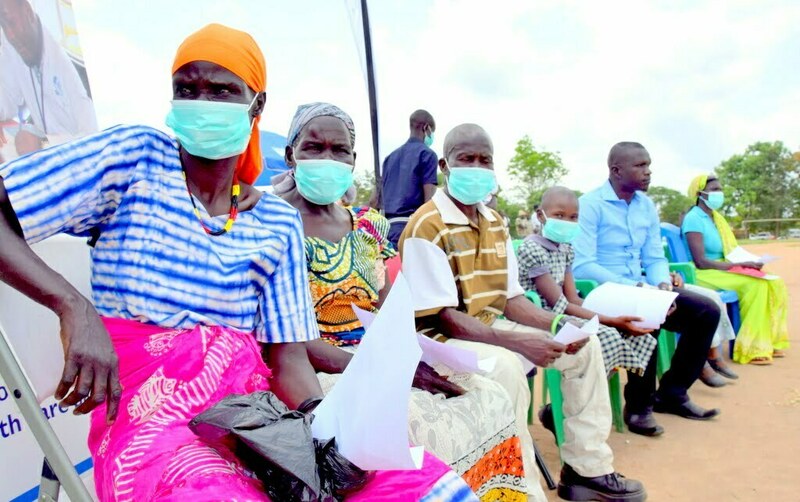 Tuberculosis (TB) is on the increase in northern Uganda. 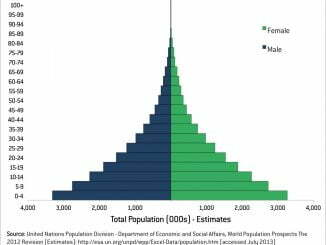 This is according to research findings by Canadian Physicians for Aid and Relief (CPAR) Uganda. The study titled ‘Tuberculosis: Working to Empower the Nation’s Diagnostic Efforts,’ was a qualitative study aimed at finding out how fast the disease is diagnosed and treated in health centres. The survey was carried out in Karamoja, Lango, Acholi and West Nile. In the Lango sub-region, the research shows that T.B infections have progressively increased. 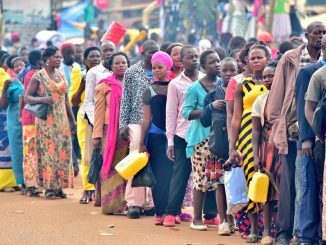 The biggest increase was reported in the districts of Lira and Apac from 2016 to 2017. In Lira, there was an increase of 184 infections from 3160 in 2016 to 3344 in 2017. In Apac 3,000 cases were recorded in 2017 compared to 2828 in 2016. In the West Nile sub-region districts like Arua registered an increase of 250 from 3200 in 2016 to 3458 in 2017. Other districts like Oyam and Amolatar the figures remained the same at 2500 and 2600 respectively for the last two years. Arua district members line up to test for TB at the World TB day commemoration in Arua. 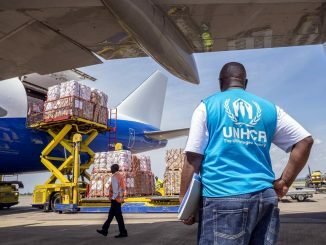 Courtesy Photo/WHO Uganda. Norah Owaraga, Managing Director CPAR Uganda says that TB in the region has increased and is common compared to ten years ago. 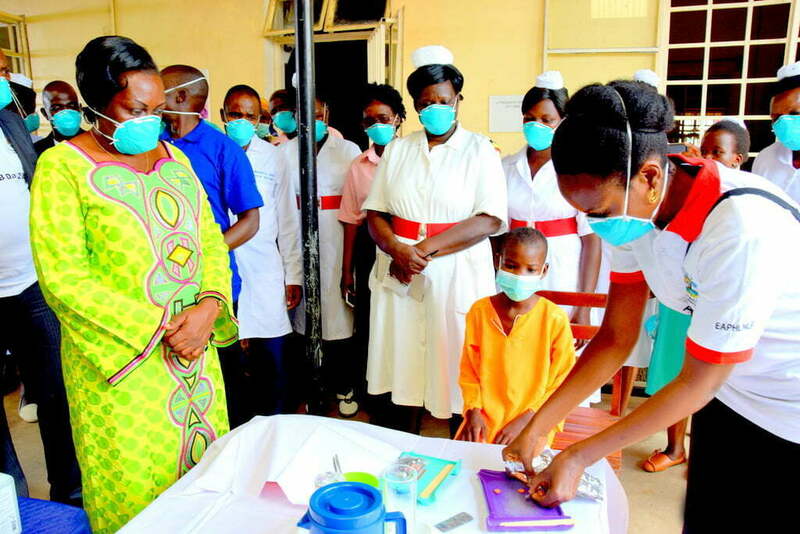 The increase in TB cases has been attributed to low funding which has led to inadequate awareness of the disease and poor diagnosis by health workers. Dr Stavia Turyahabwe, Program Manager, Uganda National Tuberculosis and Leprosy Control Programme agrees with the research findings. A young boy receives TB drugs at Arua Hospital. Courtesy Photo/WHO Uganda. The National TB prevalence survey conducted in 2015 puts the incidence of TB at 234 per 100,000 people of the population and prevalence of TB is 253 /100,000 population. Findings from the study also showed that TB is the most common opportunistic HIV infection in the area and three out of every five people infected with HIV suffer from TB. Owaraga says that funding for TB in the country is still low which affects the rate at which the disease is diagnosed in some districts. Owaraga wants the government to increase TB funding. Tuberculosis (TB) is caused by the bacterium Mycobacterium tuberculosis. It affects the lungs and can is spread by breathing in droplets from a cough or sneeze of an infected person. According to the Ministry of Health, more than 4,000 people die from TB annually.